Bitcoin is reporting losses for a second straight month, but there are hints of a bullish breakout ahead in the fourth quarter. 'Stablecoins' are the hottest thing in crypto right now, with over 50 projects in development. 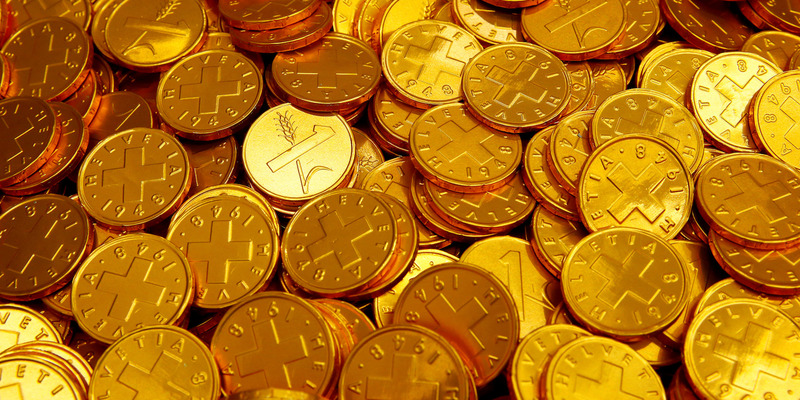 A 'stablecoin' is a cryptocurrency that's price is pegged to a real-world asset like gold or the dollar. Here's a guide to what they're used for, how they work, and why people are excited about them. LONDON — The latest innovation in the fast-moving world of cryptocurrencies is the "stablecoin" — cryptocurrencies pegged to real-world assets such as the dollar or gold. A report from crypto wallet provider Blockchain released this week found that "the number of active stablecoin projects has dramatically increased over the past 12-18 months and more than a dozen project teams have stated they plan to launch in the coming weeks/months." There are now over 50 in development globally. "Stablecoins" are cryptocurrencies whose prices are linked to a real-world asset. In theory, they could be linked to anything, but the majority are linked to currencies such as the dollar or euro. There are two main types of stablecoins: reserve-backed and algorithmic. Reserve-backed stablecoins function a little like paper money used to when it was linked to the gold standard. Just as cash used to be ultimately backed by gold reserves in a central bank, reserve-backed stablecoins are backed one-for-one by reserves of the currencies they are pegged to. Issuers of coins like USDC or Tether "tokenize" dollars by exchanging them for a stablecoin and depositing the dollars in a bank. Those dollars are then left untouched until somebody redeems the stablecoin for the dollars. It's this confidence that the stablecoin can be redeemed that maintains the price peg. The second type of stablecoin is one that is not backed by any reserves but instead controlled by an algorithm. Garrick Hileman, head of research at Blockchain and author of the recent stablecoin report, told Business Insider: "They’re really using software rules to try and match supply with demand to maintain a peg to something like the US dollar. "As demand for an algorithmic stablecoin increases, supply also has to increase to make sure there’s not an appreciation in the value of the stablecoin. At the same time, as the value decreases, there needs to be a mechanism by which supply can be reduced again to try and bring the price of the stablecoin back to the peg. "That’s really the class of stablecoins that are much more challenging to design. They’re really unproven at this point." Examples of algorithmic stablecoins in development include Basis, Terra, Carbon, and Fragments. Why do people need stablecoins? Cryptos have been plagued by price volatility, with swings of 5% or even 10% in a day not unusual. This volatility has led critics to say that cryptos are speculative investments rather than currencies or assets. Stablecoins are an attempt to harness the benefits of cryptos — value can be transferred digitally — and combine them with the stability and trust in mainstream currencies. Hileman told BI: "For millions of individuals, tens of millions in our view, as well as institutions, the volatility of crypto assets that we saw last year really is keeping a number of people’s on the sidelines of the cryptocurrency movement. "Stablecoins can address that and enable a number of use cases that bitcoin or ether or other more volatile cryptocurrencies are suboptimal for — things like insurance." The most common use case for stablecoins at the moment is as a liquidity tool for cryptocurrency exchanges. Many exchanges have been shut out of mainstream banking because banks are wary of dealing with anything crypto-related for compliance reasons. As a result, many exchanges can't accept dollar or euro deposits. Clients want to buy with dollars and to be able to trade out of cryptos into dollars at times of high volatility. Stablecoins offer an elegant solution to this problem. However, proponents of stablecoins think the technology could allow for more complex financial products to be built on crypto — things like insurance, smart contract dividend payments, and loans. Which are the biggest stablecoins? Tether is by far the most popular stablecoin and is used primarily by exchanges to offer dollar-like liquidity. "Tether (USDT) is the second most actively traded cryptocurrency (~60% of BTC daily trading volume) and earlier this year entered the top-10 crypto asset rankings by market value," Blockchain said in its report. Hileman said: "Certainly, last year we saw Tether really demonstrate that there was a real demand for a stablecoin. We saw use of Tether on exchanges like Poloniex that did not have access to US dollar deposits really take off. It helped facilitate the rise of a number of exchanges that were either cut off or chose not to integrate with the existing banking system." Stablecoins are being developed by both new startups and existing crypto businesses such as Circle and Gemini, the crypto exchange run by the Winklevoss twins. There are currently 57 stablecoins in development according to Blockchain's report. 23 are already live. 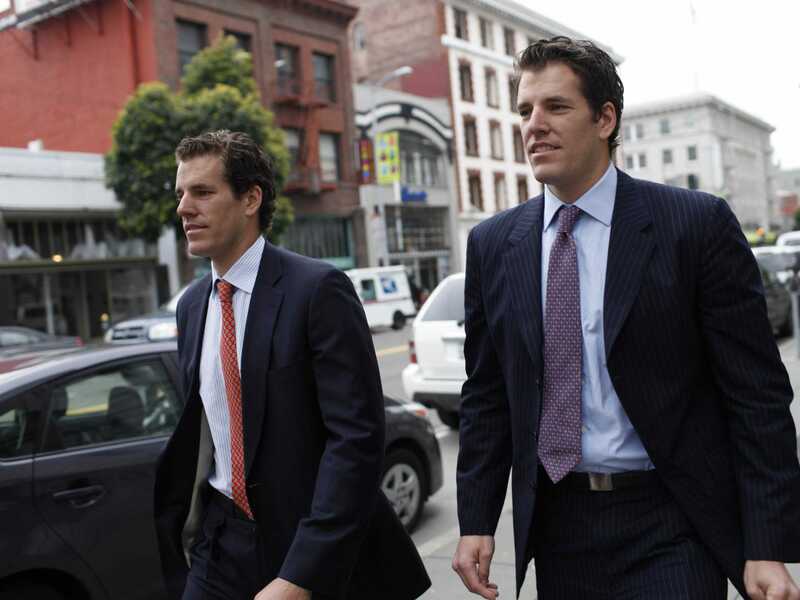 Recent examples include the Winklevoss twins' Gemini coin, Paxos Standard, the US Dollar Coin, developed by Goldman Sachs-backed Circle, and the LBXPeg. Venture capitalists are also betting big on the space. Blockchain's report said: "$335 million in venture funding has been raised by all stablecoin project teams to date." A notable investment in the space came from Silicon Valley fund Andreessen Horowitz, which recently invested $15 million into stablecoin project MakerDAO. Why are so many appearing? Hileman said that the success of Tether "really set off a whole load of innovative teams to think about: how can we do this better?" Despite its popularity, Tether has been beset by criticism of its auditing standards, corporate opacity, and claims of manipulation. As a result, many in the industry feel there is an opportunity to provide a better solution. The potential for stablecoins to be used in everything from crypto insurance to lending and savings means entrepreneurs also hope there can be room in the market for many successful stablecoins. What are the challenges stablecoins face? Heilman told BI that one of the biggest challenges facing stablecoins is scaling. For reserve-backed stablecoins to reach a level where liquidity is deep enough to support interesting applications of the technology, backers will have to invest millions or even billions in each coin. This could create "a cap on how fast the stablecoin can grow," Heilman said. "When you’re talking about use cases in the trillions, having any upward limit or friction on how quickly something can grow is potentially a huge problem." Heilman also believes that stablecoins looking to replace Tether as a liquidity proxy may end up having a tougher time than some may assume. "Tether, for all the complaints and criticism and concerns, has generally been pretty reliable at holding its peg to the US dollar. It’s worked well enough," he said. "Tether had a huge head start. It has a network effect — it has a love of exchanges, over 150 that have listed it, it’s a top 10 cryptocurrency." Another potential hurdle is regulatory scrutiny. Heilman believes that central banks may be quicker to act on stablecoins than they were on cryptos like bitcoin because stablecoins more closely resemble fiat money and could have effects on monetary policy. Not everyone believes in the promise of stablecoins either. Bitfinex'd, a prominent crypto Twitter account that attacks what it sees as bad practice in the space, recently said: "Essentially the only application for them is for scam exchanges to use it," in relations to those outside the banking system. Preston Byrne, a fellow of the Adam Smith Institute and the former COO of blockchain company Monax, has also expressed skepticism, calling stablecoins "doomed to fail" in a lengthy blog post. Finally, the emerging asset also faces a variety of technical challenges. Blockchain's report concludes: "The technology is still nascent and it is highly unlikely that the perfect stablecoin design exists at present; we expect further experimentation and innovation."